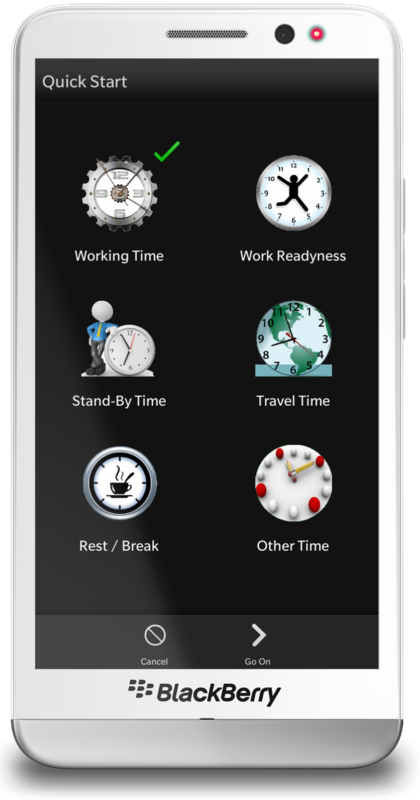 You can configure TimeTracke to run in Free Mode or Strict Mode. Tap on Start Button from Home Screen or hold your BlackBerry on a NFC Tag to Start. 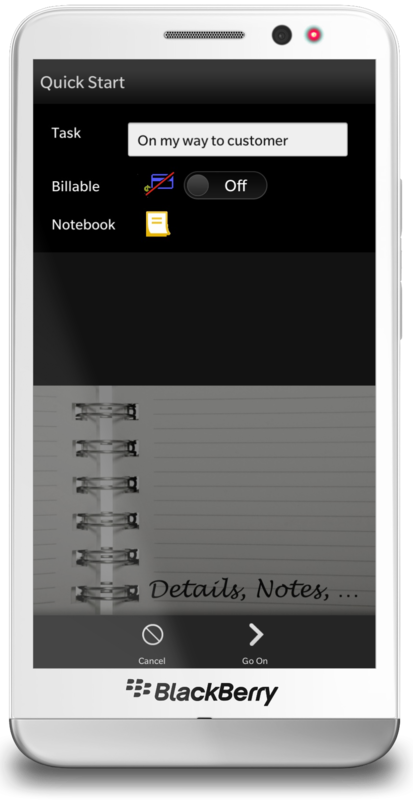 If you have configured the ‘Strict’ Mode, TimeTracker knows, that first time tapping on Start it’s the beginning of a new work day. then enter the Details for this Category. You can close the APP or minimize. If minimized the Counter will run on, so you always know how much time spent. If your work is done, re-open the APP and hit the Stop Button from Home Screen. You can also use a NFC Tag. …and you’re done. 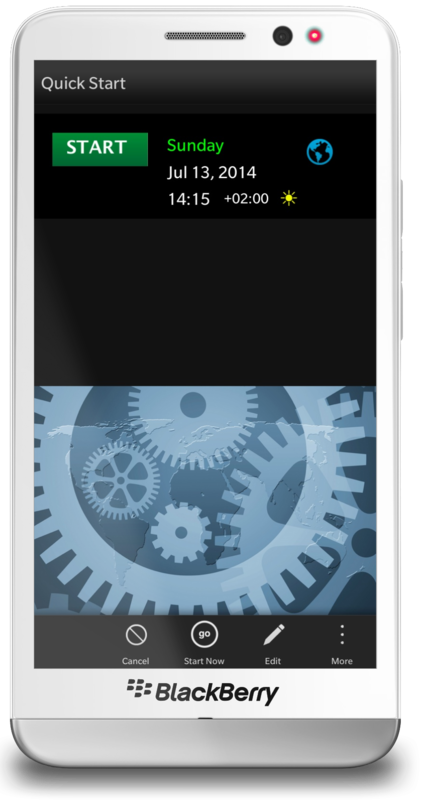 The Tracked Time is saved and you can take a look at it from List of ‘Open‘ Tracked Times. 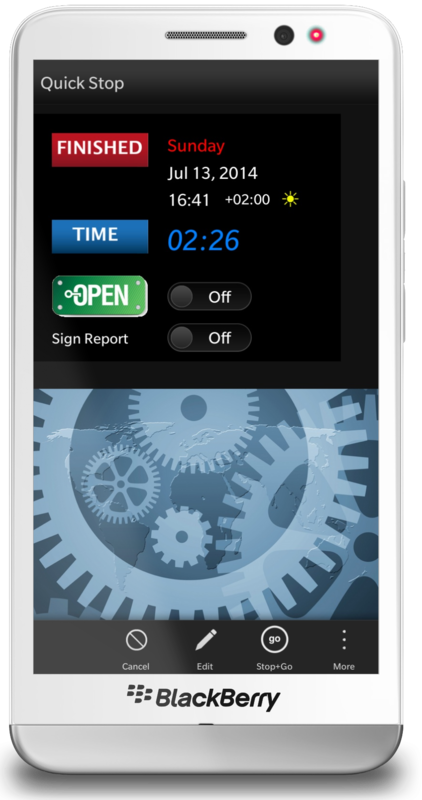 If your Report must be signed by your Customer tap on the Toggle and after stopping the time the Customer Report will be created. This was similar to the ‘Free’ workflow. 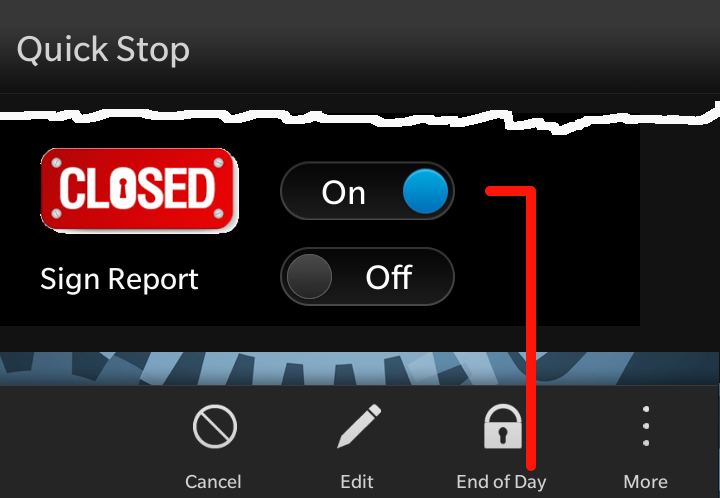 In Strict mode there’s a new Toggle at the bottom of Quick Stop page, where you can toggle between ‘Open’ and ‘Closed’. So if you don’t continue with a new working time, simply hit ‘Break’ and Time is running for the Break. 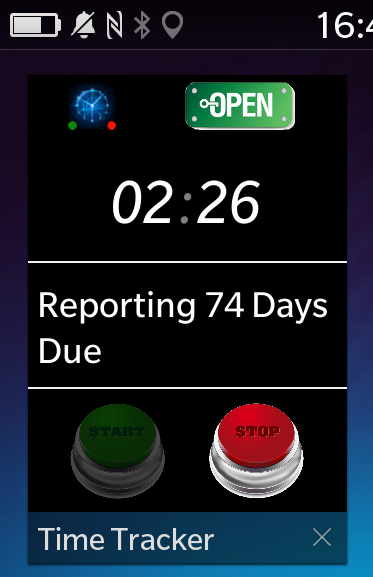 Switching the toggle above from ‘Open’ to ‘Closed‘ the next Action on ActionBar changed to ‘End of Day‘. 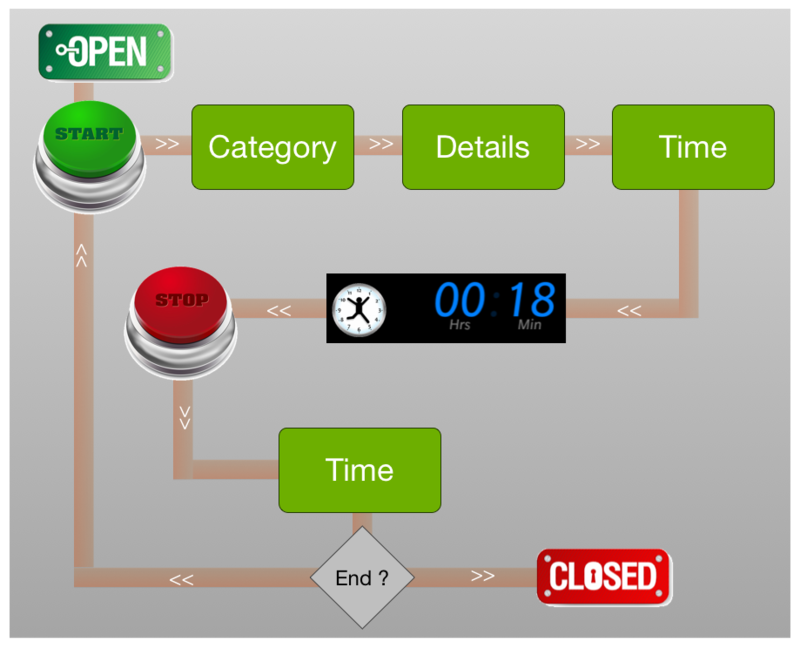 Tracking times with TimeTracker is nothing more then 1-2-3: Select the Category, enter Details, verify Start Time. Stopping is a 1-click: Verify Time and you’re ready. This is why these Pages are named ‘Quick Start‘ and ‘Quick Stop‘. Perhaps sometimes you make a mistake or at Stop you want to change the Category, entered Details and more. There are some infos about Editing Tracked Times page in chapter ‘UX Highlights‘. Posted on 2014/07/11 2014/07/13 by ekkescorner	This entry was posted in Workflows. Bookmark the permalink.